Recently I was busy building a nice case for an Arduino and I needed the dimensions to make the correct mounting holes. I found this handy diagram online and though I would share it with everyone. Here are some more drawings that include the pin layouts as well. 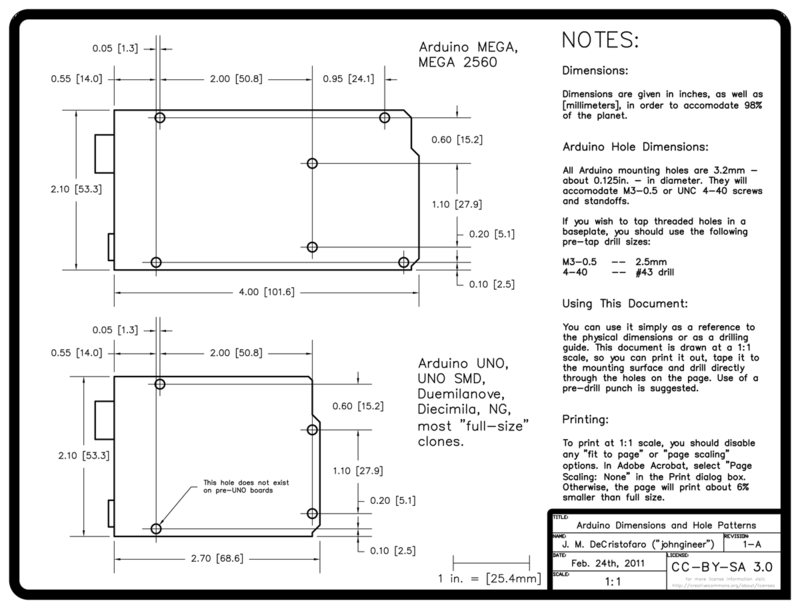 Arduino Cookbook By Michael Margolis. 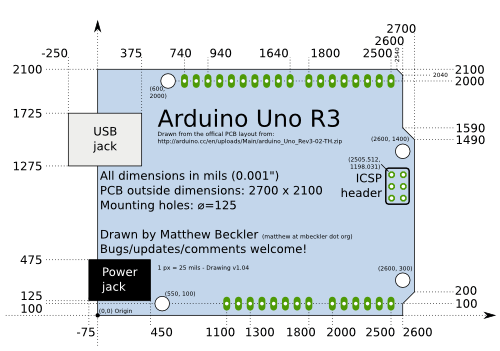 It covers a huge range of Arduino topics. Arduino Projects to Save the World By Emery Premeaux and Brian Evans. 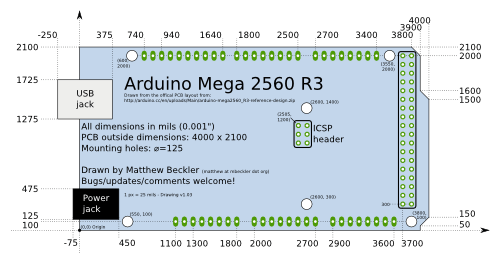 Arduino MICO shield – Control things from a dial-tone. Thank you for your work and sharing. It has saved me a lot of time designing a new shield attachment for hobbyist laser image engravers.